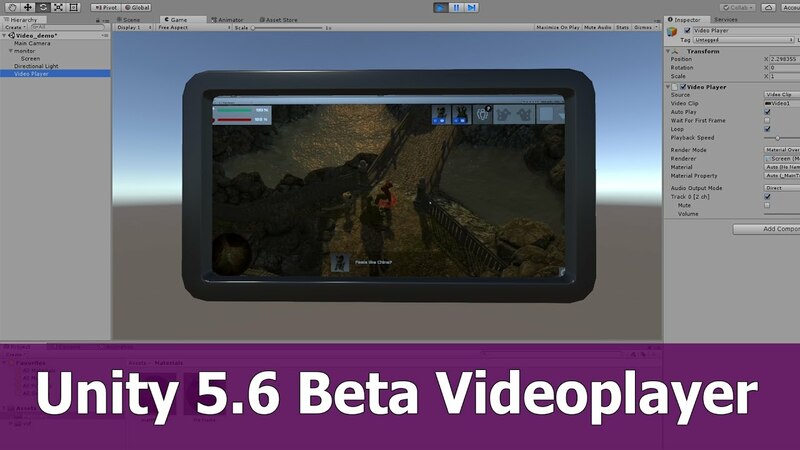 In this short tutorial I hsow how to use the new videoplayer gameobject introduced with Unity 5.6. Beta. I demonstrate how to use a Blender object, exported as fbx and imported back to Unity 5.6. to render a movie with the Videoplayer onto the material of the Blender object.